Hi guys! I have decided to do an Interview with a blogger series every Wednesday, and I hope you'll be able to join me! This is so fun and I hope you enjoy reading the answers! Today I am interviewing the lovely Sophie Alice, from Sophie Alice Talks. 1. My blog is an online embodiment of me, and that is what makes it different. I write about topics that matter to me, such as: sexuality, society, mental health, and university. I try not to limit myself with my blog, I write 'favourites' posts at the end of every season, and I write posts that are specific to my life experiences e.g. a post about why I decided to stay in the UK when my mum and sister moved abroad. In short, I'm just a woman in my 20s trying to navigate life and the world around me, and I think a lot of people can relate to that. 2. Normally I would say that I've been blogging for years, and that I started out because I wanted to write down my thoughts and hoped to help someone else. As much as that is true, this week I realised why I first started blogging whilst watching one of my childhood favourite films. The main character had a blog, and the whole film narration was her blog posts. I was inspired to healthily vent my feelings. If you're interested, the film is The Perfect Man starring Hilary Duff. 3. Offline, I am a Criminology student in Wales. I'm part of the committee for a Rock/Metal/Alternative music society in my university town. I go to a pub quiz with my friends every Monday night, I read books, and I'm usually falling in love with a new tv programme. I'm not particularly artistic, in the sense that I can't draw, but I'm not too bad at character face painting on myself (for example, I painted on tattoos last year and made a convincing El Diablo – Suicide Squad – costume for Halloween '16 – this year I'm doing Ryuk from Death Note). 4. I am inspired by bloggers who are themselves. Anyone can spot the difference between a blogger who wants to be the next Zoella, and the blogger who wants to be the first [insert their name here]. I'd be lying if I said I wasn't draw to bloggers who share similar interests to myself – though it isn't limited to this. One blogger I adore is Maria from LifewithMaria, she is incredible, and shares my unwavering love for Halloween! 5. Naturally, I'm a night owl. I often stay up until 3, sometimes 4am, and I spend that time writing (since I'm awake anyway!). I try to stay ahead of my blogging schedule (new posts every Sunday) by having at least two posts ready to go at any given time. I've tried to get into this habit over summer, before the academic year begins, so I just hope I'll be able to keep going with that. 6. Blogging has increased my confidence greatly. I'm not afraid to reach out to companies anymore, and I love creating partnerships with brands. So far, my blogging highlight is being part of the #TalkingPeriods campaign by Time Of The Month. I had to stretch out of my comfort zone by making two vlog-style videos talking about various period-related topics. I don't like my accent, and have often worried that I won't be taken seriously in any professional environment because I'm not "London British" (I'm a proud Northerner, don't get me wrong). So, for a brand to want to work with me, honestly gives me a lot of hope for my future career paths. Thank you so much for reading, and I hope to see you all next Wednesday for another blogger interview! Hi guys! 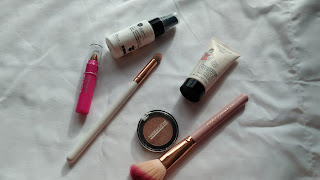 There aren't many products that I always repurchase, so the ones that I do have to be holy-grail products! I would much rather try a few different products than always get one, because there might be a better one out there. So here are five products that I always repurchase, and have a place on my list of desert-island products! 1. I always repurchase Soap and Glory products! I feel that Soap and Glory products are gifts that are given by every family member I have as Christmas presents, and I can't complain! I love Soap and Glory products, my personal favourites are Hand Food and The Righteous Butter. I am also partial to The Scrub of Your Life, and a recent fave is the face masks, one of which I done a review of. 2. Garnier micellar water is another product which has gained holy grail status. I have the massive 700ml bottle of it so I've not had to repurchase it just yet, but when it runs out and I need a micellar water, it'll be this one! 3. The Maybelline Fit Me! foundation is such a lightweight foundation and I absolutely love it. It's so light, not heavy and gives medium coverage, which is perfect for me! I am so bad at finding foundation shades for me, I usually just go for the lightest shade available, but the shades in this foundation are great! I have the shade 115 and 100, which I mix together. I think 115 is my shade when I've been tanned, and 100 is my winter/spring shade. 4. MAC lipsticks genuinely have the best formulas I've ever tried. I don't exclusively use MAC lipsticks, but they have really creamy formulas which I'm in love with! I also love Maybelline lipsticks as they also have similar formulas, creamy and moisturising! And finally, 5. The MUA Undress Your Skin highlighters are the most shiny (I can't describe highlighters for the life of me!) 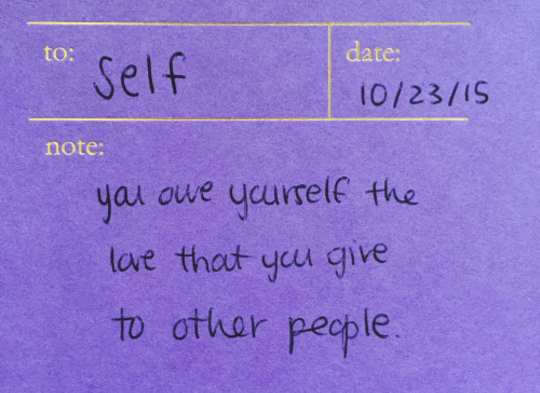 and make your skin look glowy and generally beautiful. WHY DID I GO TO COLLEGE FOR A YEAR? Hi guys! A question that I have been asked so many times by so many people is why did I take a year at college and not straight to university? This is a question that I hope to answer today! Going to university straight after school was always what I wanted to do, and it was what I was always determined to do from a young age. I think there is so much focus on the pressure that kids may feel from their parents to go to uni, and many people may be thinking that my mum and dad 'pushed' me into the idea of further education, but that couldn't have been farther from the truth. Both of my parents have always supported me in whatever decision I have decided to make, whether that be something as big as going to uni straight away or something as small as what I want to have for my dinner. I was never pushed into any decision by anyone other than myself. You see, I knew I could probably get into university, and I knew I'd love it. I've always known education was for me, I've always been one of those people who flourished in educational settings and it was always how I imagined my life. I always imagined graduating as soon as I could. 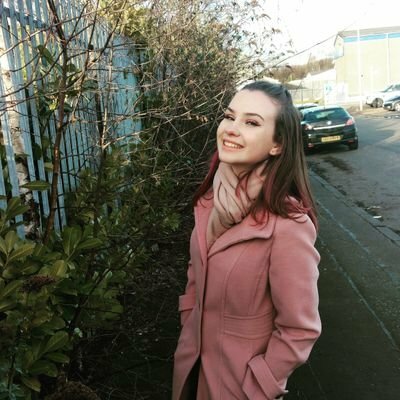 I had my heart set on applying for university in my last year of school - I wanted to go to Stirling or Edinburgh, but I had no clue what I wanted to do. I didn't know what really interested me - apart from French - and I hated the idea of becoming a teacher or a translator. In school, I was always encouraged with French. I feel like the UK as a whole don't learn nearly enough languages - in fact, I wrote a higher English essay about how discouraging I found it - and this fact alone encouraged me to do it. But I knew this wasn't what I wanted to do seriously, I didn't even want a career using French! The UCAS deadline date was approaching fast and I was starting to panic. I had thought even more about becoming a French teacher, I had thought about becoming a TEFL teacher and neither of those interested me. I always had a passion for business and I regarded myself as entrepreneurial, when it suddenly clicked - I wanted to do marketing! However, our school only offered higher business and by then it was too late to do that. I was so disheartened. I refused to apply for a course I didn't know I would definitely like and I hadn't thought of my other options, when my guidance teacher suggested college to me. I went home, researched where I could do marketing at college and seen that the closest college that done marketing was a mere 20 minute walk away from me. And so I applied for college, and it was such a good decision. I've now finished my first year of college and I'm at a university close to where I live studying marketing and loving it. I have a slight advantage over my classmates - I know I love this subject, this is what I want to do with my life, and I'm actually excited about one day, having a job at a marketing firm. I haven't forgotten about my love for French either - I'm not able to do this as one of my main subjects, but I am still continuing with French outside uni. I was able to do French as one of my electives, but due to timetable clashes I couldn't do this. Hi guys! I have decided to do an Interview with a blogger series every Wednesday, and I hope you'll be able to join me! This is so fun and I hope you enjoy reading the answers! Today I am interviewing the lovely Tiffany, from Food and Other Loves. 1. My blog is Food and Other Loves and I first started it about 3 and a half years ago now after leaving uni. I blog about all sorts of things so hopefully when people come back to my blog, there is always something new and fresh for them to read! As much as I love blogging about beauty, I also have a huge love for food and baking so I post a lot of recipes and I also love doing more personal and lifestyle posts as people can usually relate to them in someway, and those are the types of posts I like to read from other bloggers. 2. I first got into blogging after leaving uni as I was just so bored and was struggling to find a job. I was really struggling with my anxiety at the time so needed something to keep me occupied and it did, I had no idea how much I would love it and that I'd still be doing it a few years on. 3. I love to bake! I could bake everyday and never get bored. I just love trying new recipes out and baking for other people. I also love going to the cinema and I'm there most weekends! 4. There are so many bloggers that inspire me, I'm always reading other blogs and commenting but two of my favourites are Jordanne from http://www.thelifeofaglasgowgirl.co.uk/ and Hannah from https://luxuryblush.co.uk/. Love both their blogs and they are lovely girls! 5. If I'm not feeling very motivated I like to read other blogs for a bit of inspiration or I sometimes like to go back through some of my own favourite posts and that usually encourages me to get writing. If I'm really not in the mood for blogging though, I sometimes take a bit of a break with it and come back when I'm properly motivated. There's no point forcing content if you're not feeling it. 6. My biggest achievement so far is probably blogging 5 times a week since the start of 2017. I wanted to set myself a little challenge and I really wasn't sure if I'd be able to keep it up but I have and I'm so proud of myself for it! I've also managed to reach my twitter and instagram goals for this year which I'm so happy about. Thank you so much for reading and I hope you'll join me next week for another interview! Hi guys! I cannot for the life of me remember when the last time I done a full review of the items that came in my Birchbox, so today I'm going to discuss my favorite Birchbox items! I love my Birchbox, it cuts down on the amount of makeup I buy, and I usually forget about it so it's like a little treat at the first few days of the month. I've limited my favourites to six products, and my first favourite is this sugar spray from Number 4. I love this for giving my hair a little oomph and body. Now that my hair is shorter I find myself reaching for this a lot. Another product I love and use everyday is this ModelCo contour stick. I have never found a contour stick that looks good with my skin tone, or one that smells so good! This smells like Vanilla and I love it. I received holy grail brushes in my Birchbox! The Spectrum eye contour brush (which you can get here) and the Spectrum contour brush (which I can't find anywhere), but they're both so fluffy and I love them!! Spectrum brushes are great quality and I love them so much! This Manna Kadar Fantasy highlighter is the most beautiful thing I've seen! It can be used as a highlighter, bronzer and an eyeshadow, and while I wouldn't personally use it as a bronzer, it's so lovely to find a product that can be used for three things! This applies beautifully (I've only ever used it as a highlighter), but is super pigmented and looks amazing on the skin!! This is more of a subtle highlight, which I prefer when I can't be bothered with makeup! Finally, I love this deep conditioner, which is an absolute lifesaver and does wonders for your hair! Hey chicks! So today I’m doing a post about something that I’ve wanted to do forever! I done a poll on what conspiracy theory posts you guys want to see and I feel like the responses were all so close and thus I have decided to do all three!! I love writing about them and I love researching them, they’re super interesting and I just love them!! I’m doing a post on who killed JFK today. This is a super controversial subject, there is so much debate about who it was, whether it was Oswald alone, or another group and why they done it. Adding to this, 6 out of 10 Americans think it was a conspiracy according to a Gallup poll. Unfortunately, I don’t think this is a subject we are ever going to get full closure on, but it’s so interesting and I love it! In order to understand this subject more, I highly, highly recommend watching or reading 11.22.63. This is a book by Stephen King which has also been made into a TV show which you can stream on Hulu as a Hulu Original. I’ve not heard about it being put on Netflix, however hopefully it does get put on! There is also a website I found that details a timeline of Oswald’s life, it is extremely detailed and there is so much information about his life which is available here. To give you a little background, Lee Harvey Oswald (the man who assassinated JFK) joined the Civil Air Patrol in 1955 and then he enlisted in the US Marine Corps a year later. Three months after enlisting, he scored 212 on a marksmanship test which gave him an overall score of sharpshooter. I don’t know much about the marines but from my research a sharpshooter is a pretty average score to get, it’s the middle score so it’s really average, he could have done better. From 1957-1962 he was overseas a lot, and then was deployed back to America. Another point to mention is that during his time in the marines, he consistently scored a performance of “average”. The points about his scores in the marines tell you a lot about the theory that he didn’t kill JFK, as he ordered and used a 5×52mm Carcano Model 91/38 infantry rifle to shoot. Experts from the Warren Commission (set up as a result of JFK’s assassination) say that it would be impossible for him to shoot from the distance he was at with this gun, and it would also be impossible for him to shoot JFK in 6.2 seconds. It would also be impossible for someone who's not an expert shooter to shoot him exactly where he wanted to. What’s really interesting is that in this time he was overseas, Oswald got very involved with left-wing politics, and tried to kill General Walker (a prominent right-wing politician) in 1963. The fact that he was interested in left-wing politics tells me that he couldn’t have shot JFK, as he was a Democrat. Adding to this, he had very progressive left-wing views. So, why would Oswald assassinate a man who had the same views as him? 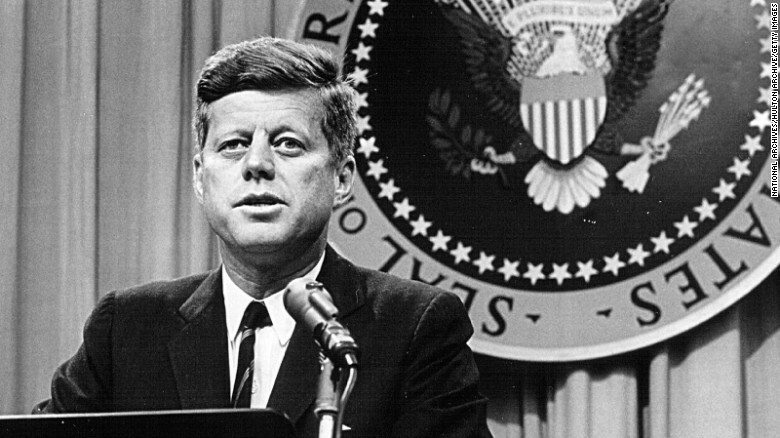 JFK was very outspoken about his hatred of the CIA, the FBI and the Secret Service. In fact, in a speech at the Waldorf in 1961 he condemns secrecy, which you can watch here. Furthermore, he was against the invasion of Vietnam and he wanted to decrease the number of troops deployed in Vietnam over three years. He was also against the invasion of Cuba. In terms of the actual assassination, Kennedy wasn’t fully protected. If you watch footage from the assassination, JFK was in the “sitting duck” position, making him an easy target. Watching the video (which I won’t link to as I don’t like watching it) we can see that Kennedy’s head jerks backwards, not forward. However, JFK was said to be shot from the back, so surely his head should jerk forward? Furthermore, the car JFK was in was a Ford Lincoln which was refurbished before forensics could look at it. This fact just screams cover-up to me. Why was this done? Surely there would have been evidence in that car that could have been used to determine something about the assassination of JFK? Another massively important fact to note is the doctors who operated on Kennedy confirmed the bullet came from in front of JFK, and not behind him. There was also no blood or brains on the bullet itself, but there was brains and blood on the police cars behind him. Two theories exist about this fact; the single bullet theory and the theory that there were multiple shooters. Once his body was taken to the hospital, it was removed illegally, before there was a chance to perform an autopsy. It was removed by the CIA, which is pretty fishy to me. Why did they tamper with the evidence? Once Oswald was arrested, he was sent to the county jail in Dallas where he was questioned for twelve hours without an attorney even though he requested one and all evidence that the questioning ever took place was destroyed. This is not only unconstitutional, but also raises many questions. Why was there no recording made? Why did they want to destroy the evidence? Why was no attorney present? Furthermore, before he was brought to the jail, he kept repeating “I’m just a patsy”, and voice analysis has since indicated he was telling the truth. A final interesting point is that the head of the Warren Commission was a former CIA director who was fired by JFK. Maybe he was in there to cover it up? Overall, I think that it was a conspiracy. War is an excellent way for economies to grow and prosper, so leaving the Vietnam war would be a stupid decision in terms of the economy. His distrust of the CIA and the FBI would also be enough for them to go as far to have one of the most-loved American presidents murdered for their own gain. I think Oswald was “just a patsy”, he was hired by the CIA (remember, he was in the marines so it’d be easy enough for them to find him), and bribed him to kill JFK. That’s all from me! There is so much I wasn’t able to talk about, however if you’re interested in this then I suggest you do your own research! Be sure to let me know in the comments what you think happened to JFK and what you think of these posts!! Hi guys! I have decided to do an Interview with a blogger series every Wednesday, and I hope you'll be able to join me! This is so fun and I hope you enjoy reading the answers! This week I am interviewing the lovely Gemma. 1) Tell me and my readers a bit about your blog and what makes you different? 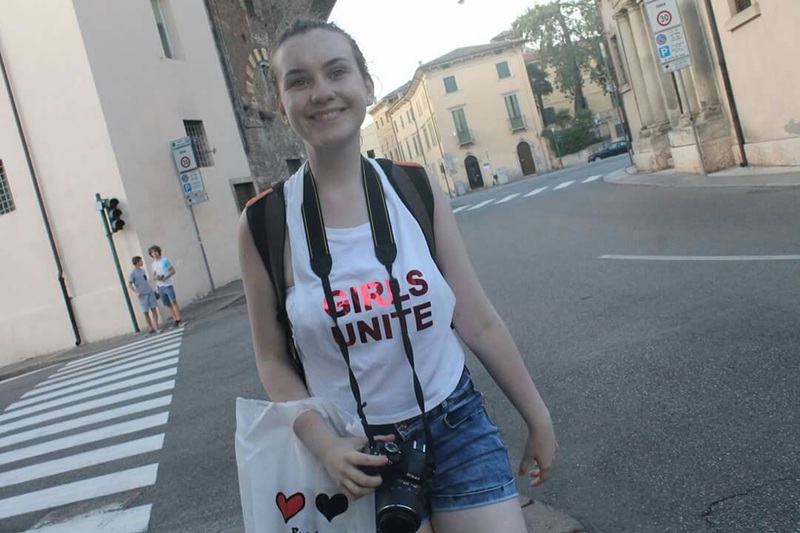 Helloo, my name is Gemma and I run a little blog called An Ocean Glimmer. I'm primarily a Beauty & Lifestyle blog but I do love to speak about Stationery and Books, as well as another passion of mine motorsports. Pretty much anything of interest to me will be on my blog, An Ocean Glimmer has come along way since I created her over two years ago now, including being nominated for a range of awards, the Unique Blogger Award, the Liebster Award and Blogger Recognition Award. 2) How did you first get into blogging? 3) What do you do outside of blogging? At the moment, I am a part-time sales assistant, I try and work as much as possible while looking for a full-time job. With being on a zero hour contract it is very hard to get hours, so you have to grab the hours while you can! When I'm not working you can find me with my head in a book or even playing games, I adore video games. I have done from a very early age, at the moment I can not wait to play Assassin's Creed: Origins, I have to wait until the end of the month for my birthday. 4) What bloggers inspire you? Through blogging, I have met a lot of bloggers some that I would even call my friends, everyone is super helpful and friendly. I would probably say Jordanne, Jemma and Jenny, now I've just released they all begin with J! These girls are lovely, very supportive and are super creative, I aspire to have my blog similar to theirs, their images are very crisp and they are super imaginative with the props for their images. I would love mine to look like theirs, their content is also amazing, very different from one another but all scream them. 5) How do you motivate yourself to blog? 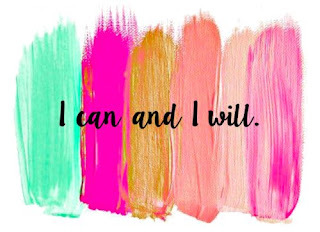 Keeping yourself motivated while being a blogger, is very hard! There have been a couple of times where I've felt like giving up but then I think of my followers and what blogging actually means. When you have a continuous schedule, brands look at you highly, they know you can keep to your schedule and create your content. For me as long as I have good ideas, I can keep creating! Some days I don't have any motivation but then others I get floods of motivation, I think it depends on my mood. With planning and being organised I am able to continue to be motivated, as well as a fresh flood of ideas. 6) What is your greatest achievement in regards to blogging? Greatest achievement in blogging? Woow there's been soo much, I've been blogging for over two years and there's definitely a lot I've achieved! I think it would be all the awards I've been recognised for from other bloggers. It's the best feeling ever when someone has nominated you for an award, you know that all your hard work that you've done, is being recognised. It also backs up the fact that there are people out there who are reading your stuff! And it's not just my close friends and family. Hope you'll join me next week for another interview! Hi guys! This is a post I have wanted to do for ages after reading a series of posts from Frankii, which were super raw and emotional, and I recommend them so much!! This post will be aimed at one particular group of friends that I was friends with during high school. I truly wish the best for every one of you, but our time has come and gone. I’m still bitter about how I was abruptly thrown aside the moment things got tough, but I do not blame any of you. I also don’t blame myself though. There was a hell of a lot of immaturity in our friendship, and I knew I wouldn’t have you all in my life for much longer. I was going through my own personal crisis, what sixteen-year-old girl wanted to be a part of that? Looking back on it, you all should have been there for me. I don’t forgive you for that, and I don’t think I ever will. But no matter what, I can’t bring myself to regret our friendship. Sure, in my ideal world it wouldn’t have ended in Burger King of all places, I wish I wasn’t made to feel even worse than I did already and I wish it didn't result in me having to pretend for a whole year that everything was okay. You were all meant to be my best friends, and best friends should have been there for me during what was the worst thing to ever happen to me. However, we had some great memories together. And for that I can never truly hate any of you. There’s a lot of things we done together that gave me a real sense of belonging. I’ve shut this chapter of my life. There’s no point ruminating on the past, rather it was more of a learning experience. I truly wish the best for all of you, and I wish you luck and happiness on your own personal journeys. But this is the end of your journey with me. Hi guys! I have decided to do an Interview with a blogger series every Wednesday, and I hope you'll be able to join me! This is so fun and I hope you enjoy reading the answers! This week I am interviewing the lovely Sophia. 1. Tell me and my readers a bit about your blog and what makes you different. When I first started my blog I felt like I was interested in so many things and I wanted to blog about it all. I knew I didn't want to just blog about beauty because I had so much more to offer like my passion for baking. I started my blog https://sophiaaaxo.com and I blog about beauty, baking, lifestyle and travel and I love the variety. I am so happy that I don't just blog about one thing because not only does it open my blog to alot more readers but because I can blog amount more than one of my passions. I think because I blog about four different topics, I get people that read my blog that might just be interested in one of the topics such as lifestyle. It has definitely opened up my audience as I will have other beauty bloggers, other lifestyle bloggers, other travel bloggers and other baking bloggers that want to read my content and not just other beauty bloggers...if you know what I mean. 2. How did you first get into blogging? I really really wanted to start my blog in 2015 and I originally started up a blog with Blogger but I didn't get on well with it. I thought it was too hard and it was confusing, so I never actually put up a post. Then at the start of this year I was like I am at the point now where this is something I really want to do, I love writing and talking (sometimes too much) so I just went for it. I set up another blog with Wordpress and I love it so much as I find it so easy to use and they have really great support. 3. What do you do outside of blogging? I am one of these people that loves doing new things, so I never really have any free time. I a currently at University studying Drama and Theatre and I have one more year left until I graduate!! ahh so exciting! so I am there all week and then I also work on the weekends at Wilkinsons. I try and go to the gym as much as possible because working out and being healthy is really important to me. Baking is also one of my hobbies and I try and do this as much as I can even though it does require a lot of time. I love reading aswell, I can open a book and be reading for hours. Netflix and Youtube also take up some of my time when I have nothing to do. I could watch Youtube for hours ( not even exaggerating, there have been times when I go to bed at like 3 in the morning because I am addicted haha ) I love watching a new Netflix series too. I tend to try and keep myself busy just because I hate being bored haha. 4. What bloggers inspire you? I tend to watch more Youtubers then read Blogs although there are a couple of bloggers that I love. Obviously I love Zoella ( https://www.zoella.co.uk ), I love her blog posts especially her baking ones. I love Tanya Burr ( https://www.tanyaburr.co.uk ), Inthefrow ( https://www.inthefrow.com ) and Fleur De Force ( https://www.fleurdeforce.com ) too! they are all great. 5. How do you motivate yourself to blog? For me, blogging isn't a hobby it is like just as important as my uni work or my actual work. I see it as a career, and because I am so motivated to succeed in it, I am normally quite motivated to want to blog. I find it easier to be motivated to blog when I think that blogging is something I need to do rather then oh I should probably blog or edit a post. 6. What is your greatest achievement in regards to blogging? Definitely getting to 500 followers in just 9 months! this is so crazy to me and I can't thank everyone enough. I have had soooo much support and I feel like I have come so far in such a short amount of time. It makes me feel so happy and overwhelmed that 500 + people followed my blog because they want to read what I have to say. They care about my opinions and my views. I have also worked with some amazing brands and made some amazing friends and I will forever be grateful. Hi guys! 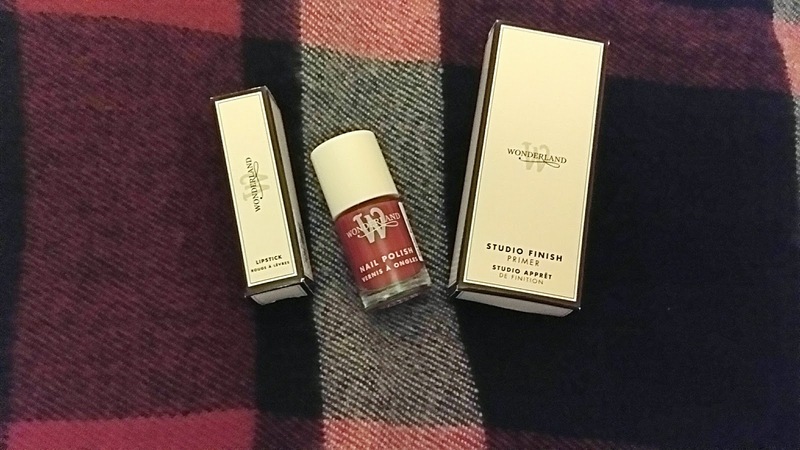 The lovely team at Wonderland Makeup contacted me asking me if I would be interested in doing a review for them, and of course I jumped at the chance! Just a side note: these products have been sent to me, however I will never compromise my personal beliefs for a collaboration. These are 100% my own views. The team sent me three of their most popular items, and they sent me a primer, a lipstick and a nail polish. 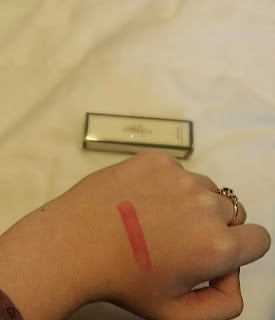 I used the primer to apply my makeup on Thursday morning, and the only thing I can describe it to is the POREfessional Matte Rescue but less watery! when I applied it to the back of my hand, I instantly thought it wasn't for me, but applying it to my face it felt lovely! 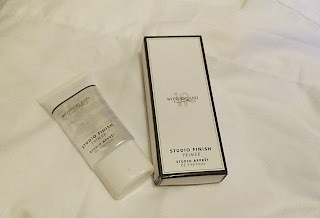 It really minimised my pores and hydrated my face, perfect for the winter months when moisturiser alone doesn't cut it! I never really have much of a problem with my foundation staying on all day, but this minimised my pores all day long and kept the oil to a minimum! Overall I'm impressed! 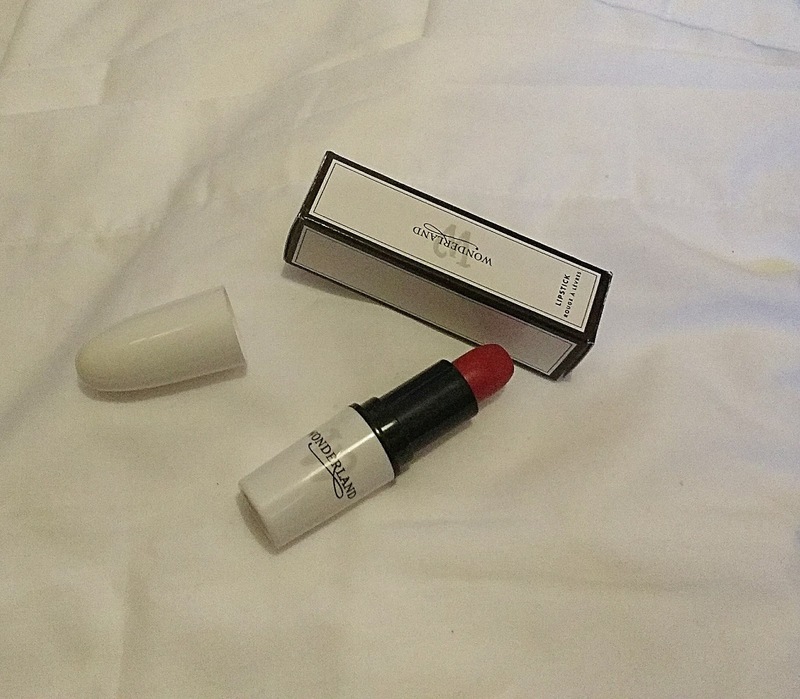 The lipstick that Wonderland sent me is to die for!! They sent me the colour "Ruby" and I didn't know what to expect as reds are really hit and miss for me, but this is more like a raspberry pink. This lipstick is super moisturing and sits well on the lips. It's shiny (but not too shiny!) which is brilliant and it smells so good! Overall I love this lipstick and I highly recommend it. They also sent me a nail polish, which I couldn't take a picture off as it is at my mum's house. I'm not a massive nail polish wearer as I never really have the time to spend the best part of an hour on my nails, so my little sister painted her nails with this. However, you can see from the top photo how gorgeous this is. It's so shiny and looks like it will stay on for a while. The lovely team at Wonderland Makeup have also given me a code for 15% off all products on their website! If you type in the code 'Bloglife15' at the checkout your 15% off will come off your bill. 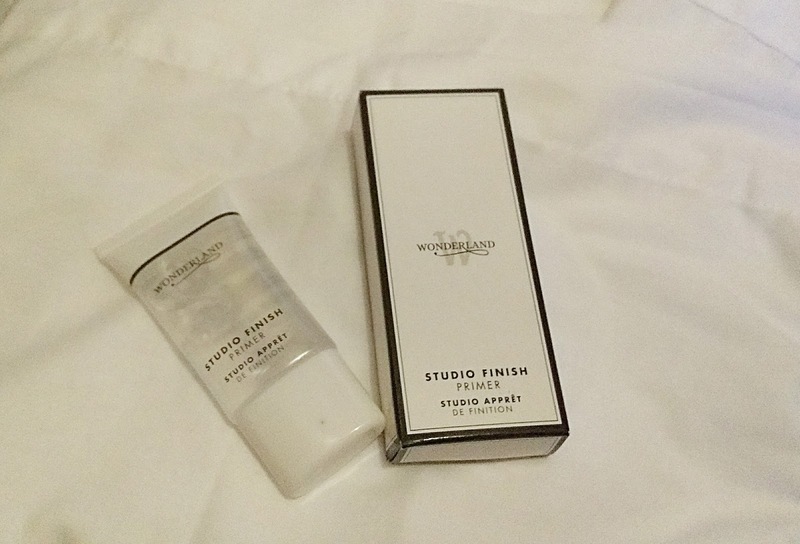 What's your favourite Wonderland product? Hi guys! Today I am interviewing Colin, who is a new mental-health blogger. I had never came across mental health blogs until I seen his, and his blogs are so raw and passionate. I highly recommend checking him out! 1. Tell me and my readers a bit about your blog and what makes you different? Tbh my blog is new and very basic. I write what I feel in the moment and only recheck for spelling mistakes (though some slip through). I want to try to keep my posts as raw as I can, in an attempt to capture any real emotion at the time of writing. 2. How did you first get into blogging? I had actually set up a Twitter account to speak about my anxiety as I struggled to open up to people face to face. I then came across some amazing people, who all were mental health bloggers. They explained that it was a great release to them, and they found that their experiences sometimes helped others out. 3. What do you do outside of blogging? Mainly spending time with my kids when I am not working. I used to manage and play in a football team, I would love to get back to that. I am also looking to try and set up a local Social Group for those who suffer with mental health. 4. What bloggers inspire you? I come across new bloggers almost daily now, and I genuinely take inspiration from everyone. They are investing a part of themselves into a post, and from someone who can be quite closed off at times, that inspires me to put my thoughts and feelings out there. 5. How do you motivate yourself to blog? That's something I am finding hard just now, though I think that is mainly because I am new to it all, and spend more time reading others than planning my next post. 6. What is your greatest achievement in regards to blogging? I think getting feedback from people, especially from my couple of mental health posts, that they can relate to the posts. I think it's a comforter on both ends with that sort of thing. It was lovely interviewing Colin, and make sure to join me next Wednesday as I interview another blogger!